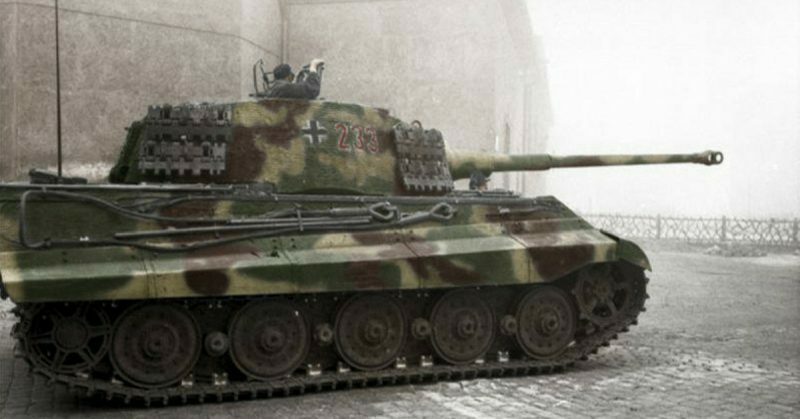 The German Tiger II heavy tank is disputably one of the best tanks of the entire World War II, and despite it’s flaws it was also one of the most fearsome. 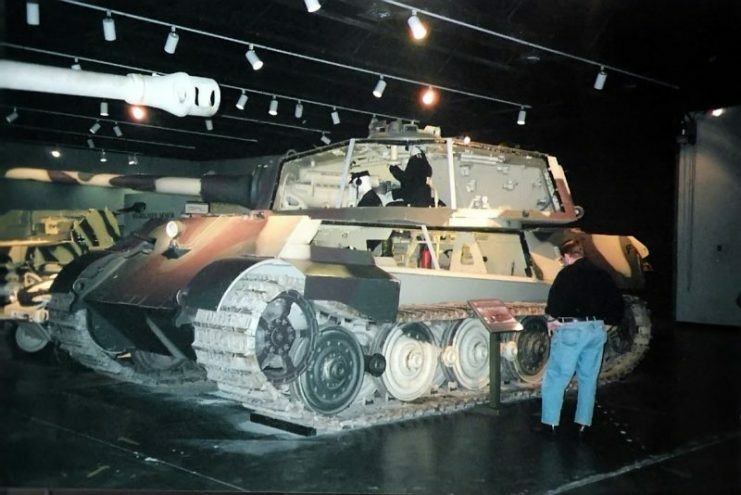 Armed with an 88mm KwK 43 gun, this 70-tonne kitty was able to pierce through any tank from the Allied arsenal including the Soviet heavy tanks. An experienced gunner, able to estimate the range properly, had one more advantage – it was VERY accurate. 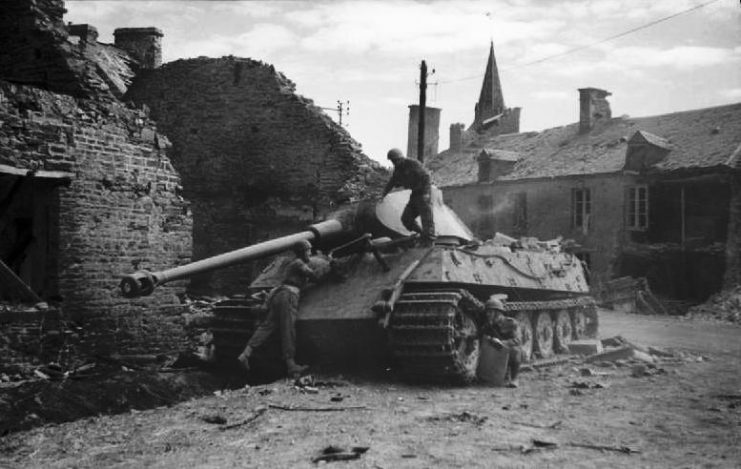 Presented on the Western Front in mid 1944, when air superiority was in the hands of Allies, the full capabilities of German armored divisions even with the Tiger II were seriously limited. 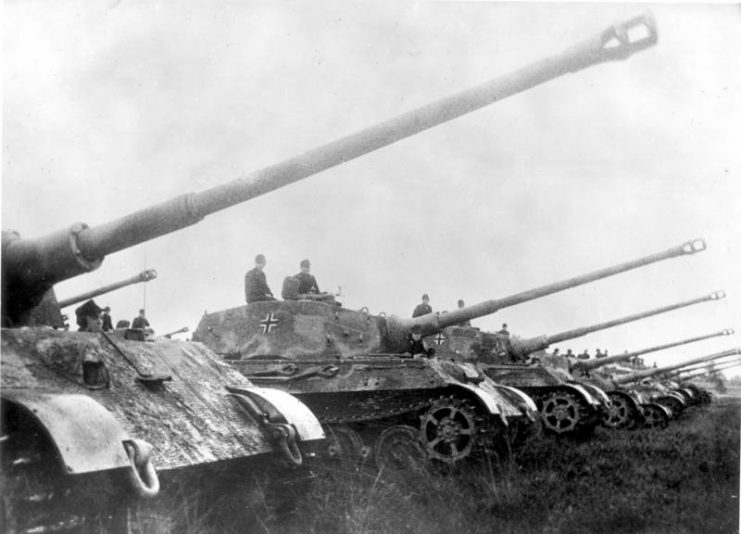 On the Eastern Front, the first divisions outfitted with the Tiger II introduced themselves only in autumn of 1944. Although targeting was somewhat of a challenge when the enemy was further than 2000m, anything in sight below that distance was easy prey. It was heavy, designed to shoot from a distance, and had thick sloped frontal armor. Regardless of its relatively slow speed, no sane foe was willing to take its chances in a duel against it. Luckily for the Allies, it was a rare machine with less than 500 seeing production. 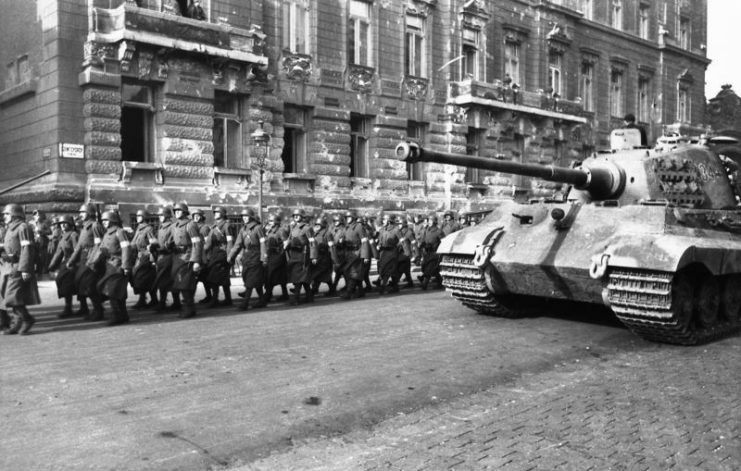 The 501st Heavy Panzer Battalion was the first unit fully equipped with the Tigers B, with 25 in total. 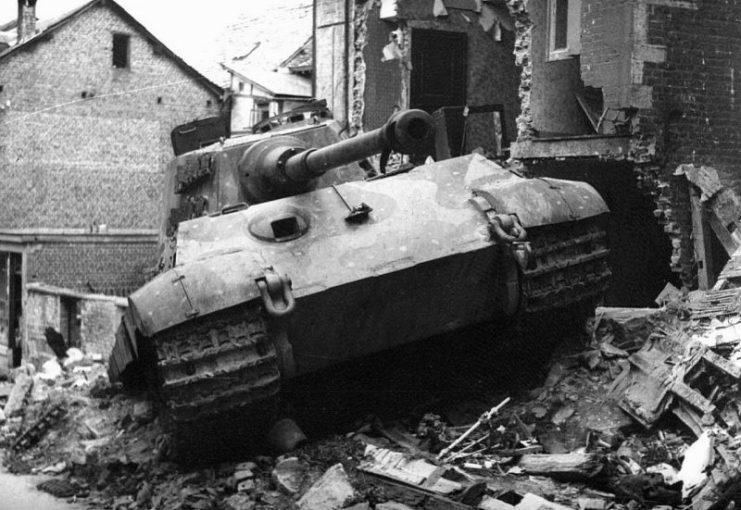 However with its late introduction, the Tiger II couldn’t change the fate of the war, and only served to slow down the inevitable outcome. 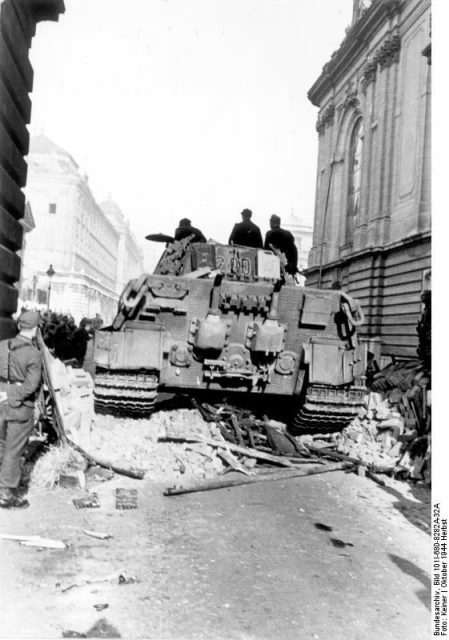 Less than in a year after the Tiger II’s first engagements, Berlin fell and the war was over. 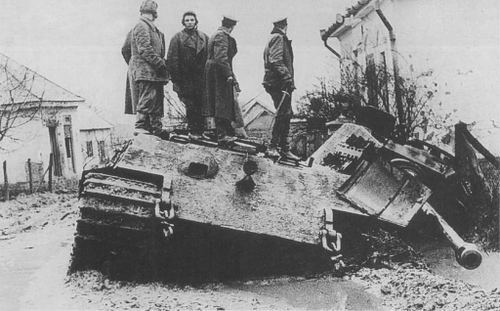 Tiger IIs with the narrower “transport tracks”, of Schwere Heeres Panzer Abteilung 503 (s.H.Pz.Abt. 503) ‘Feldherrnhalle’ posing in formation for the German newsreel. Photo: Bundesarchiv, Bild 146-1975-102-14A / Hamann / CC-BY-SA 3.0. 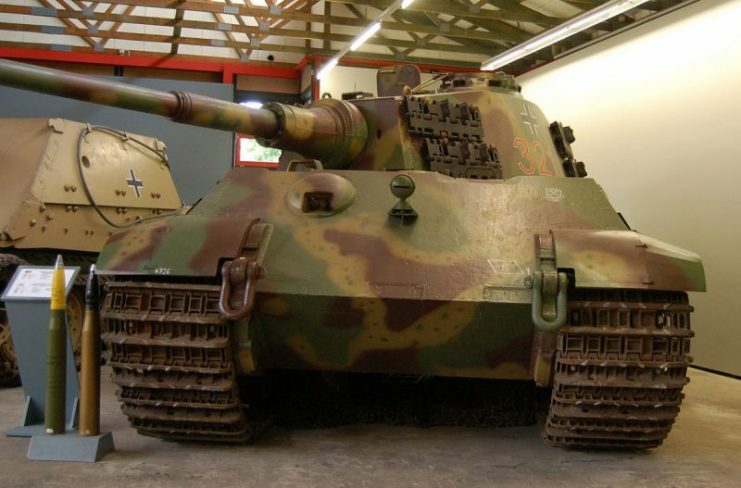 The biggest enemy of the Panzerkampfwagen Tiger Ausf. B was… its own “body”. 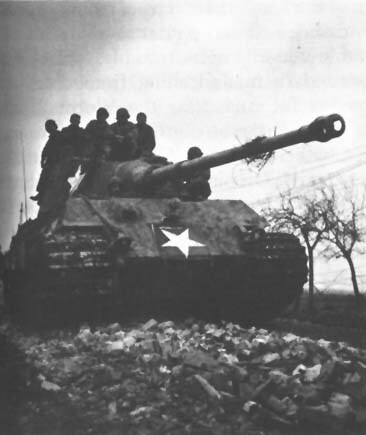 An under-powered engine and common malfunctions resulted in ten Tigers to be stopped on a 10 km route while assigned to the command of 16th Panzer Division. German sappers also had to reinforce all the bridges in its way. 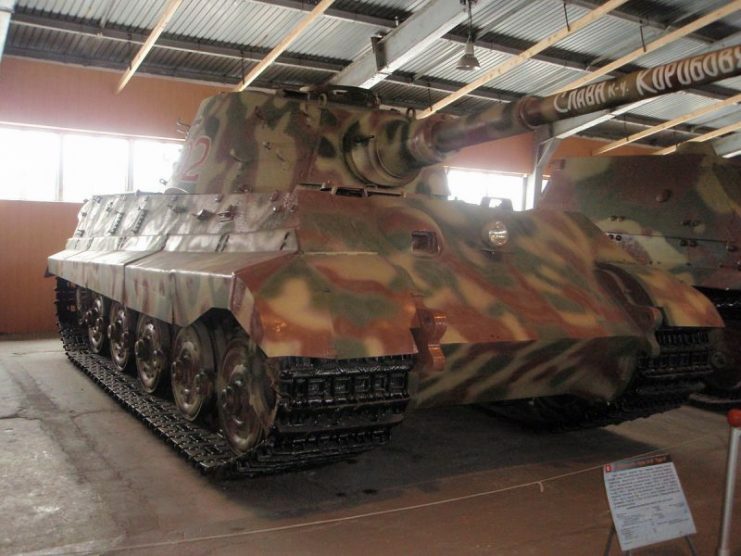 When the Soviets captured a few examples of Tigers, they concluded the same – it was underpowered, had limited maneuverability due to its extreme weight, was prone to malfunctions, and had significant design defects (mainly in the propulsion system). They also discovered that the quality of German was considerably worse when compared to earlier versions of the Tiger I and Panther tanks. This is likely attributable to a lack of resources during manufacturing late in the war, but it’s worth noting that malfunctions were also a merit of slave labor, brave prisoners who intentionally sabotaged their work. 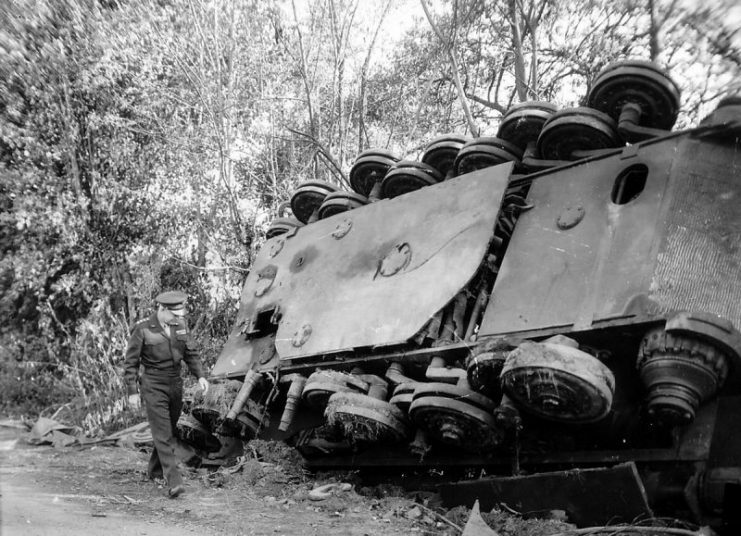 Gen. Dwight D. Eisenhower, supreme commander of the Allied expeditionary forces, inspects an overturned German tank left by a roadside in France. While the armor was still impenetrable, it was likely to crack, even from the inside. In the second half of the war, Germany was short on resources of all kinds. The design commissioned by Albert Speer (Minister of Armaments and War Production) in 1943 was not only costly in precious materials and burned a lot of fuel, but was also time-consuming. Orders were placed for around 1500, yet Allied bombings and the sheer cost reduced production to a third of that target – one was built in 1943, 379 in 1944, and 112 in 1945. 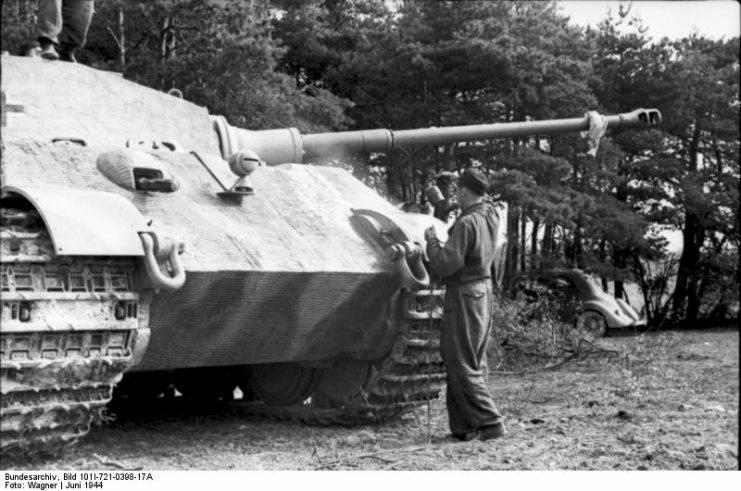 The cost for one Tiger II was double that of a Tiger I and 5 times that of a Panther. In contrast, the Soviets could produce 10 T-34’s for about the same amount. Production of T-34’s armed with an 85mm gun alone reached 22,559. In such an environment, the Tiger II might be a lot like a T-Rex versus a pack of Velociraptors. 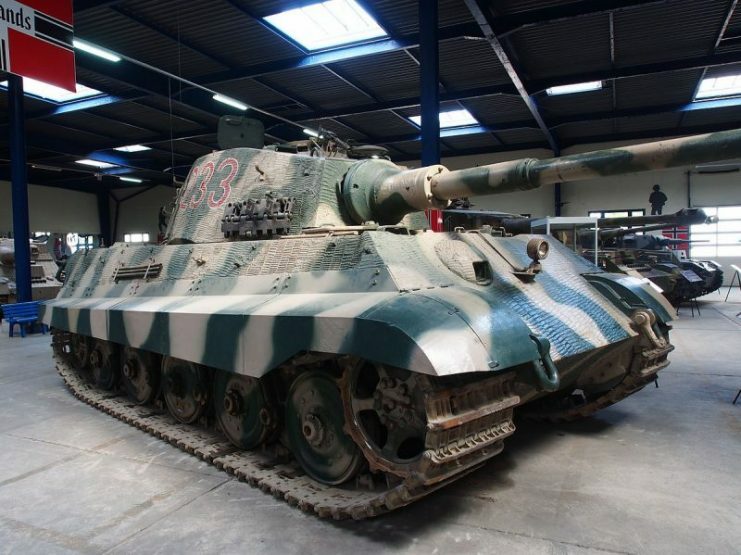 One of the biggest uses of Tigers II occurred during the Ardennes Offensive. Hitler wanted to again use the iron fist of Blitzkrieg tactics against his enemies. It worked well in 1939-1942 when the Luftwaffe had air superiority and the Panzer corps were outfitted with fast, mobile tanks. Rear view. 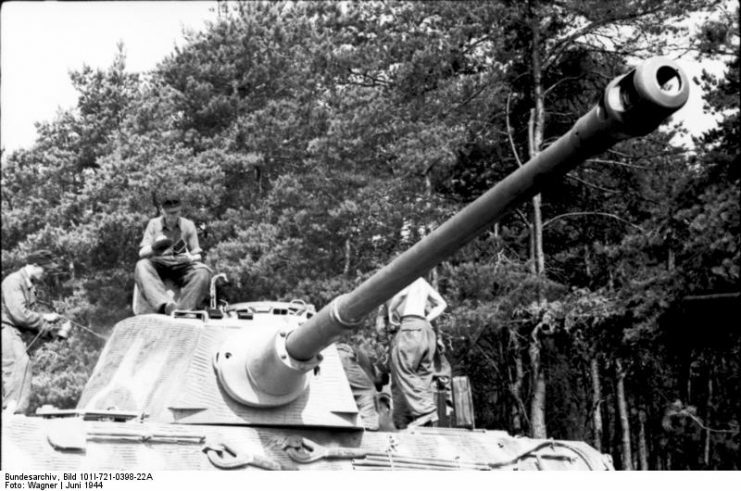 Photo: Bundesarchiv, Bild 101I-680-8282A-32A / Keiner / CC-BY-SA 3.0. In December 1944, the situation was much different. Monstrous and ponderous Tigers B were clumsy and slow. They blocked local bridges and were often more than a burden than a help. Allies tried to avoid any direct confrontation with them, which wasn’t a difficult task in the heavily wooded areas of the Ardennes. Infantry had their hands full with the Tiger II but were able to use mines and Bazookas with some degree of success in disabling the behemoths. 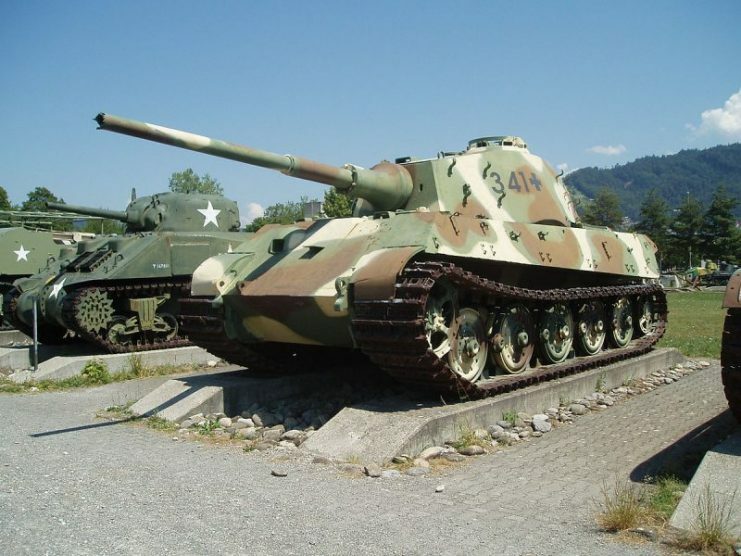 After the Battle of Bulge, the Americans also captured several of the Tiger II’s and sent them for evaluation back to the US. Their conclusion mirrored the Soviets, and American engineers were perplexed about what drove the Germans to build such a design. Ironically, the Americans were working on the T29 Heavy Tank at the time, in which the weight and size were comparable. 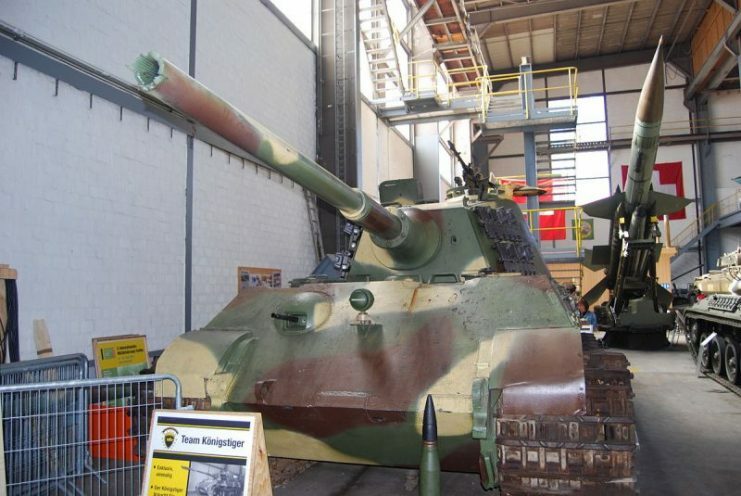 What made Tiger II so special then? Its gun, tests estimated its maximum range at 3800 meters, firepower was simply perfect, and accuracy was simply shocking. The whole barrel was very stable after a shot and it was capable of firing 9 shells in 35 seconds (during tests). The high velocity also made it easy to shoot at moving targets. 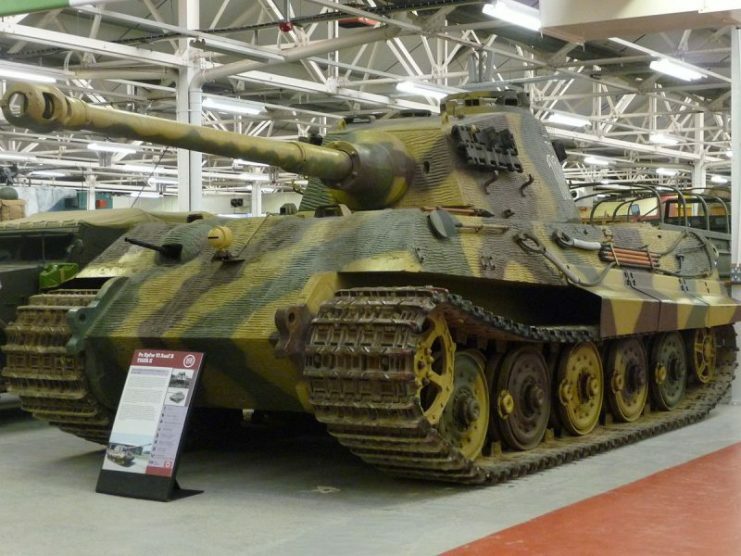 All of the above suggest that Panzerkampfwagen Tiger Ausf. 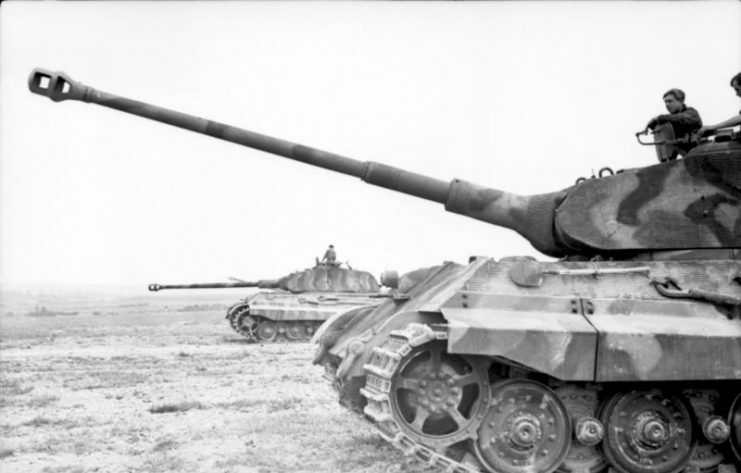 B was created for an Eastern Front “habitat” where in the boundless flat terrain it’s terrific gun and thick sloped armor would diminish most of its drawbacks. 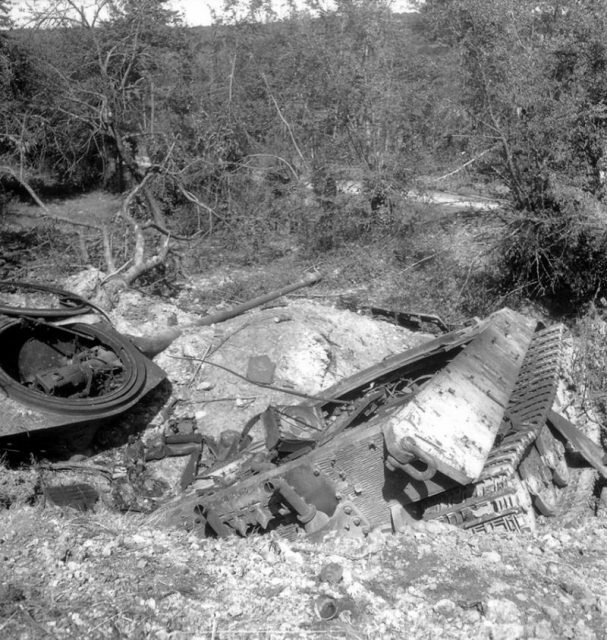 Captured German Tiger II (Königstiger) tank with temporary U.S. markings. Note 88-mm gun with muzzle brake. 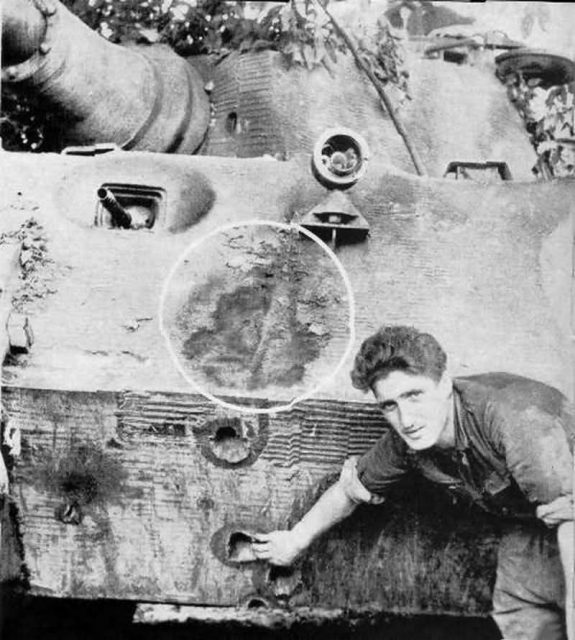 A King Tiger of the 503rd heavy tank battalion, after it has been rammed by a British Sherman commanded by Lieutenant John Gorman of the 2nd Armoured Irish Guards, Guards Armoured Division during Operation Goodwood. Gorman and his crew then captured most of the Tiger’s crew. 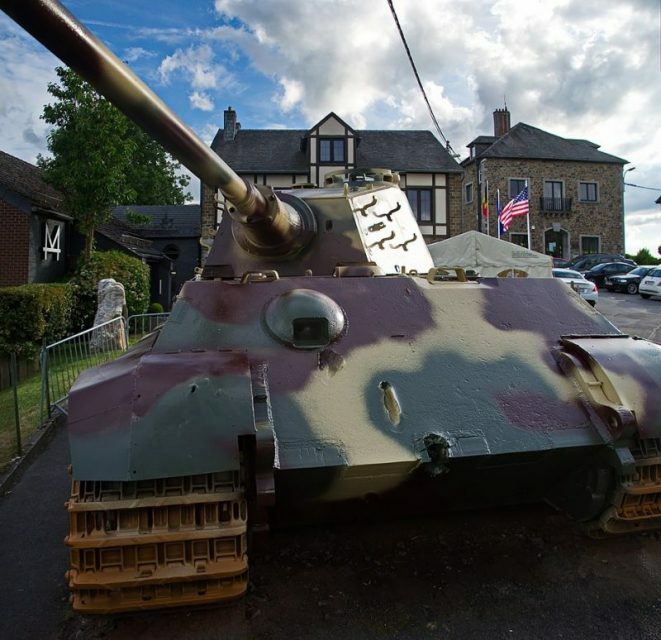 The event took place on 18 July 1944 to the west of Cagny, Normandy, France. 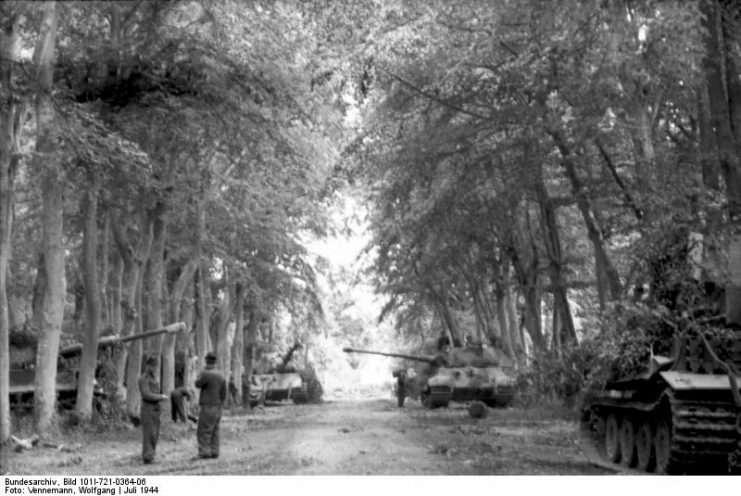 Tigers II in France, July 1944. Photo: Bundesarchiv, Bild 101I-721-0364-06 / Vennemann, Wolfgang / CC-BY-SA 3.0. 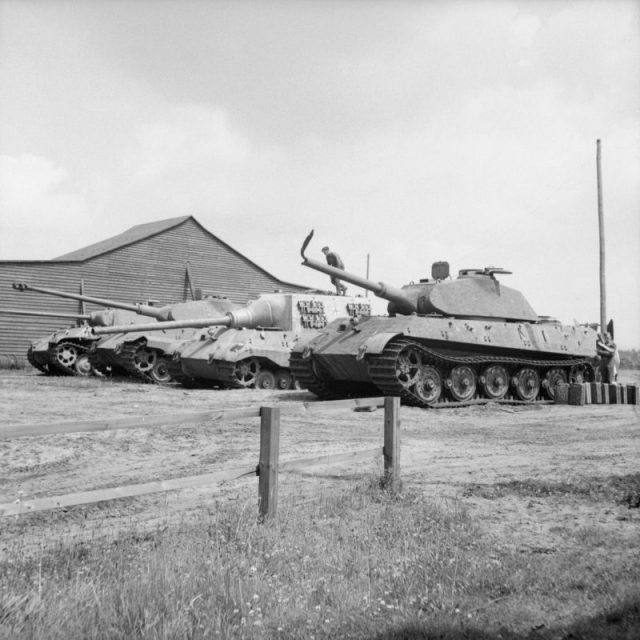 Four German heavy tanks at the Panzer experimental establishment in Haustenbeck near Paderborn. 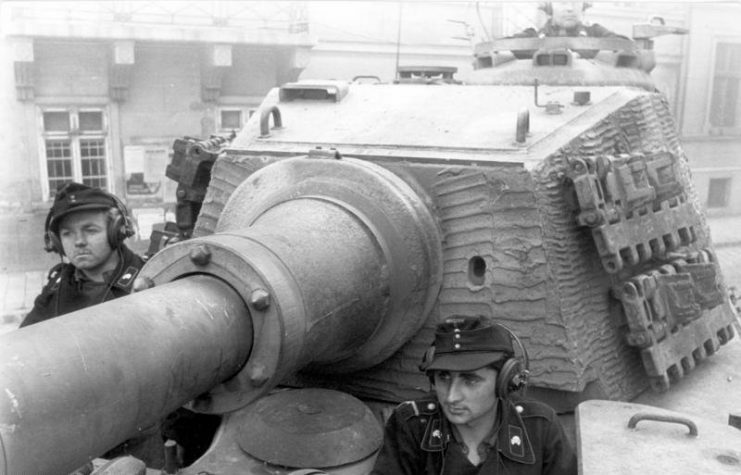 Close view of Zimmerit on the turret of a Tiger II. Photo: Bundesarchiv, Bild 101I-680-8282A-09 / Keiner / CC-BY-SA 3.0. Front view. Note the damage on the bottom.